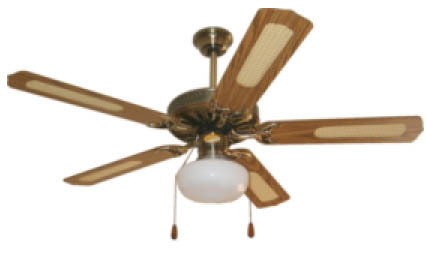 Our fans are stylish and run very quietly. Most come with remote control and all models can have this option added. 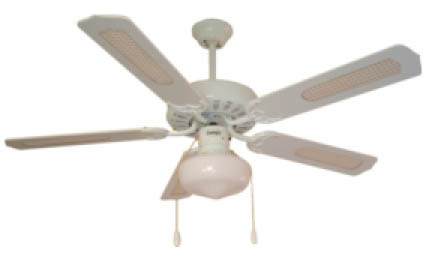 Winter and summer mode switches are on all of our fans meaning that during summer months the anti-clockwise motion gives a good downward breeze, whilst the clockwise control creates a gentle room perimeter breeze which brings warm air back down into the room. 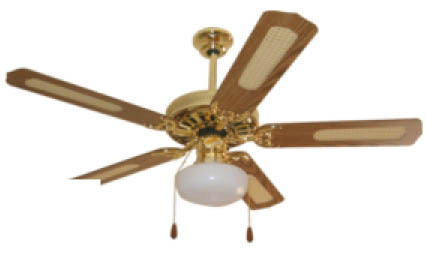 We give a two year warranty on all our ceiling fans. 52” / 132 cm all white finish, dome light, white blades. 52” / 132 cm all stainless steel finish, dome light, washed oak blades. 52” / 132 cm all antique brass finish, dome light, mahogany blades. 52” / 132 cm all stainless steel finish, dome light, silver blades. 52” / 132 cm all pewter finish, dome light, gloss black blades. 42” / 107 cm all white finish, dome light, white / maple blades. Shown with white side of the blades facing down. dome light, oak / mahogany blades. 42” / 107 cm antique brass finish, dome light, oak / mahogany blades. Shown with oak side of the blades facing down. 42” / 107 cm stainless steel finish, dome light, silver / black blades. Shown with mahogany side of the blades facing down. Shown with silver side of the blades facing down. Shown with black side of the blades facing down. 52"/ 132 cm polished brass finish, school house light, mahogany / oak & cane blades. Shown with oak & cane side of the blades facing down. 52"/ 132 cm antique brass finish, school house light, mahogany / oak & cane blades. 52"/ 132 cm all white finish, etched 3 light, white / white & cane blades.